A Jim Calhoun personal appearance, Jim Calhoun speaking engagement, or Jim Calhoun endorsement will reflect well on your company. To hire Jim Calhoun now for any corporate appearance, fundraiser, motivational speaker event, personal appearance, autograph signing, or website endorsement please contact our celebrity agents at 1-877-6-SPORTS. We will contact Jim Calhoun or contact Jim Calhoun's agent and provide you with the booking fees and availability immediately upon your request. Direct Sportslink is the only sports speakers bureau and talent booking agency based in the United States securing only sports talent for corporations, associations, and organizations for motivational speaking engagements, personal appearances, and endorsements. We are the premier sports celebrity booking agency and a sports celebrity procurement expert. Accordingly, we will provide you with any relevant Jim Calhoun website information and booking agent details so that you can hire Jim Calhoun for your next event. Currently, Coach Calhoun is the head coach of the University of Connecticut's men's basketball team. 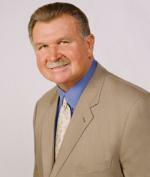 He has won four national titles, the 1999, 2004 and most recently 2011 NCAA titles, as well as the 1988 NIT championship. 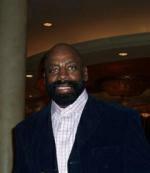 In 2005, he was enshrined in the Basketball Hall of Fame. On May 15, 1986, Calhoun was named the head coach at the University of Connecticut. After completing his first season just under .500, Calhoun led the Huskies to their first national title in 1988, defeating Ohio State in the National Invitation Tournament. In 1990, Calhoun was named the consensus National Coach of the Year after leading the Huskies to the Elite Eight and a 31-6 record in only his fourth year at the helm. Calhoun won his first NCAA national championship in 1999, as he led UConn to its first-ever Final Four and then championship game victory over Duke in St. Petersburg, Florida. The final score was 77-74 in UConn's favor as future NBA standout Richard "Rip" Hamilton lead the team to victory. Calhoun led the Huskies to another national championship in 2004, at the conclusion of a season that saw UConn start and complete the year as the number one team in the nation. UConn standouts Emeka Okafor and Ben Gordon were selected #2 and #3 in the NBA Draft, respectively. Calhoun has coached aover 20 players at UConn that have gone on to play in the NBA. They include: Clifford Robinson, Tate George, Chris Smith, Scott Burrell, Donyell Marshall, Donny Marshall, Kevin Ollie, Ray Allen, Travis Knight, Doron Sheffer, Hamilton, Khalid El-Amin, Jake Voskuhl, Kevin Freeman, Ricky Moore, Caron Butler, Emeka Okafor, Ben Gordon, and Charlie Villanueva. Coach Calhoun was one of a select few NCAA coaches to have won 3 NCAA Championships. 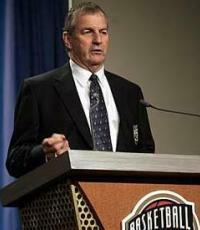 Based on your interest in Jim Calhoun as a speaker or for a personal appearance, Direct Sportslink has provided you additional links below for other sports talent with similar appearance fees, speaker topics, and categories that match Jim Calhoun.